Whether you’re a student, staff, alumnus, or friend of CMU, welcome to another school year at CMU. 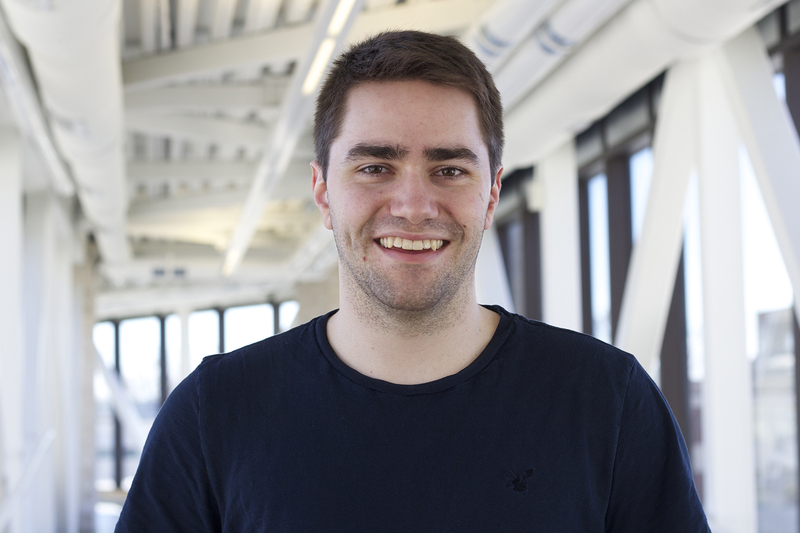 My name is Jason Friesen, and I’m the primary blogger for #myCMUlife this year. Some of you may know me, but some of you likely don’t. This seems like a good chance to introduce myself, so here are five things you probably want to know about me before you start reading my blogs. 1) Who the heck is this guy? Well, I said my name already. But on top of that, I’m a proud Winnipegger, have grown up in the Mennonite tradition, and I’ve got one older brother. 2) How well does this guy know the CMU community? I’d say I know it pretty well! I’m now in my fifth and final year at CMU. 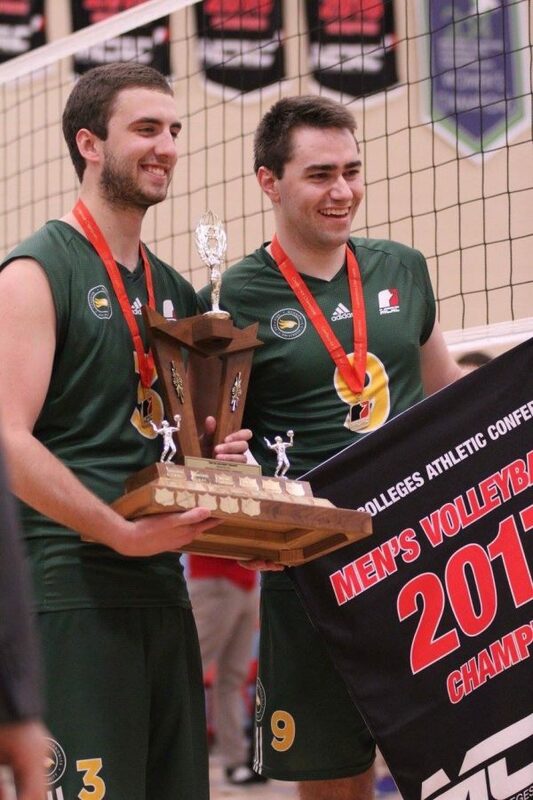 Though I was a commuter student for my first four years, I found ways to stay connected to the community, such as playing on the men’s volleyball team (which I still play on). But I now live on campus, so I’ll be spending plenty of time around the CMU community by nature of where I live this year. 3) Is this guy even good at writing? Well, I suppose you can be the judge of that. But if it comforts you at all, I’m a Communications and Media student at CMU. Most of my degree has consisted of classes that focus on things like journalism and communication theory. I’ve had the opportunity to put the skills I’ve learned in these courses into practice by writing for The Doxa, as well as working as a journalist for the Winnipeg Sun this past summer. So hopefully I’ve learned some things from those experiences. 4) What does this guy like to do in his spare time? I’ll be honest, I’m a huge sports fan. I love to play sports (particularly volleyball) and I love to watch sports (particularly the Winnipeg Jets). But I like to think I’m not one-dimensional. I also love music. Though I wouldn’t consider myself a fantastic performer of music, you will probably see me singing along in chapel, or singing to the radio in my car. But I sure do love to listen to it! 5) What’s been the biggest thing I’ve learned through my CMU experiences so far? Everybody has a story to tell, and everybody has a story worth telling. I truly believe that if told well, anybody’s story can be intriguing. So many of us think that our stories are not unique, or not worthy of sharing. But if you look at them from the proper angle, and use the right words, you can turn what you might think is an ordinary story into something people can’t wait to read or hear! Somebody wise once told me, “The secret to life is to have a good balance”. When it comes to academics and athletics I have found this to be extremely true. A pile of boxes reached the athletics office at CMU a few days ago. If you didn’t know how many students are athletes, you certainly do now. The boxes were packed full of athletic wear blazoned with green and white. 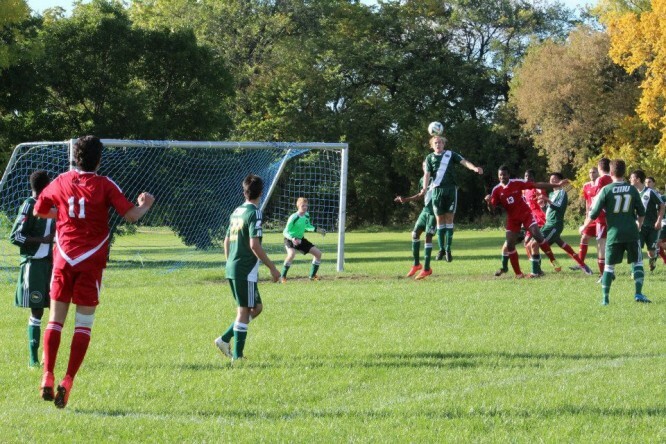 CMU competes in the following sports: soccer, volleyball, basketball, and futsal. Across these, over 85 students represent the Blazers in MCAC action across the province and Canada wide. The athletics director is Russell Willms and the assistant director is Joshua Ewert.